My experience teaching English in an Italian primary school! 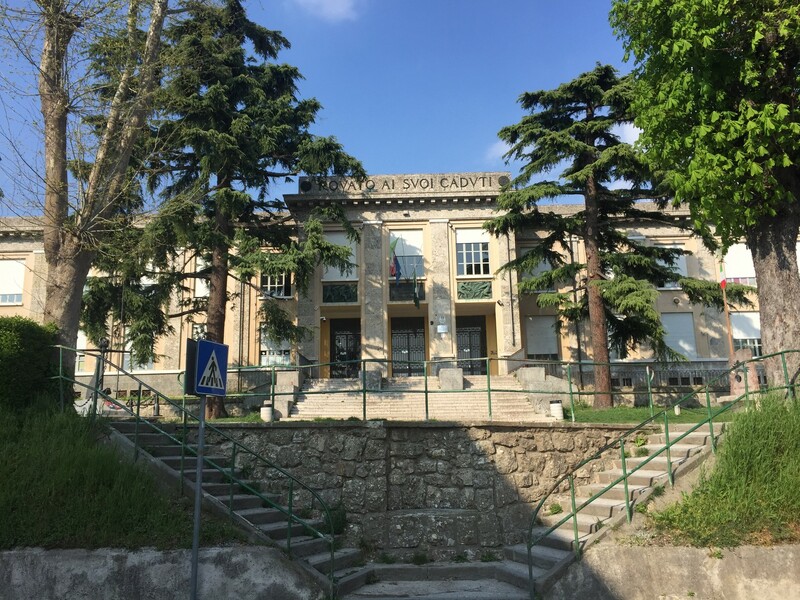 Blog: My experience teaching English in an Italian primary school! 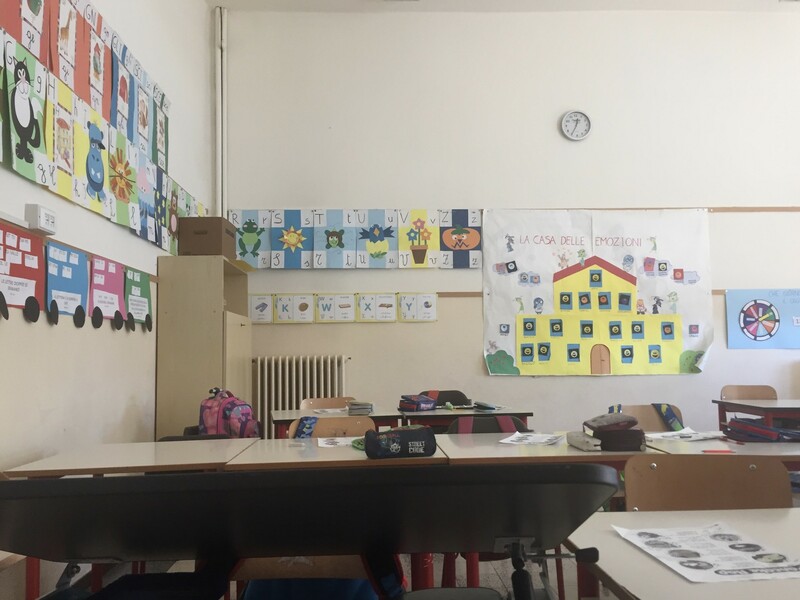 I’ve been working as an English language teaching assistant in an Italian scuola elementaria (primary school) for just over five weeks now, and have absolutely loved the experience so far! I never thought I’d enjoy teaching, but more often than not I find myself positively looking forward to going into school, and every day I feel as if I’ve learned something new. In this article, I’m going to cover everything from my dress code to my salary, and hopefully in doing so, I’ll answer any questions you may have about this traineeship, and maybe even encourage you to do something similar, yourself! 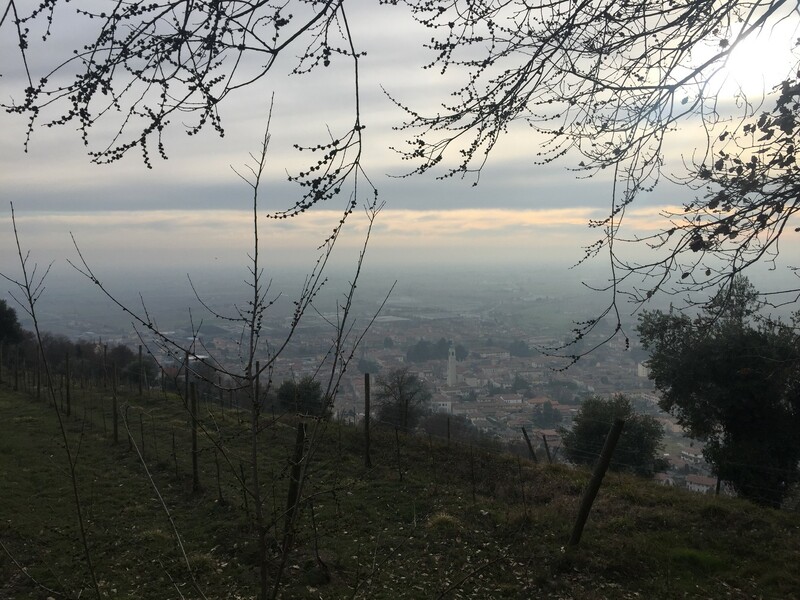 I work as an English madrelingua (native speaker) in four different primary schools in and around the small town of Rovato – see the biggest below! All the language teachers here are Italian – in a place this size, that’s only to be expected – so each year, this institution, and others in the area, invite students from anglophone countries to come and act as aides for a few months. We are there to teach the children – most of whom, in my case, are between ten and twelve – how to pronounce English words correctly, to tell them about aspects of our cultures that aren’t included in their textbooks, and, more generally, to inspire a passion for languages in them. In theory, I am never supposed to be the main maestra (teacher); in practice, I quite often am. During my time, I’ve been in classes on both ends of the spectrum: some where I’ve sat to one side and said almost nothing for the entire hour; others where I’ve done all the talking, and the official teacher has only really played a part in the discipline side of things (i.e. telling students off). 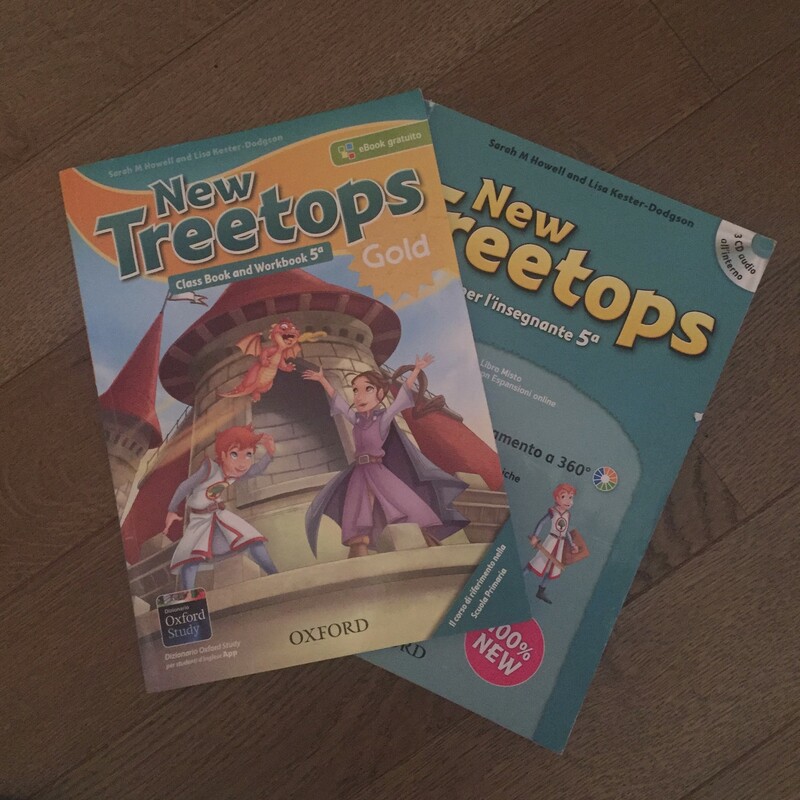 The pupils do a whole range of things in my lessons: everything from playing educational games to creating lap-books to doing role-play activities. Some lessons are definitely more fun to lead than others, and more often than not, my amusement correlates with that of the students. Because of this, I much prefer to make them play games than complete exercises from the textbook, and I find that this is usually the best way to consolidate their learning. After all, when an aspect of competition is introduced – for example, I often play a game with them which involves racing against their peers to translate words or sentences – the pupils absorb a lot more, because they are all desperate to win. One of the teachers I work with is similarly keen to make lessons entertaining, and, in her classes, I’ve done things like making popcorn with those who were learning cooking instructions, and playing bingo with those who were learning numbers. How did I find the job, and what was the application process like? I found out about this position, thanks to an email from my Italian tutor. This was extremely lucky – usually, finding a job requires hours of scrolling through the university's year abroad jobs page. The application process was fairly straightforward. I had to submit a CV and short cover letter, and then prepare two five-minute lessons to deliver in an interview, one on an English grammar point, and one on an aspect of my country’s culture. The director of the programme actually flew over from Italy to talk to us and answer any questions. I think the teaching assistants who came from America had a short phone interview with him. Almost everyone who applied for the programme was accepted. That’s one good thing about teaching English – there are jobs everywhere, and if you are confident and empathetic, you’ll be hired in no time! Does the job have any negative aspects? There are always going to bad days. Sometimes pupils aren't willing to do their bit, and I’ll walk out of the class wondering if I can face teaching them again the following week. In fact, one particular group is so challenging that the main teacher say she’s ‘senza parole’ (‘lost for words’) after almost lesson. However, in my experience anyway, the negative aspects of the job are very much outweighed by the positive ones. The only thing I’ll never get over? The early starts! As a night owl, I find it very difficult to tear myself out of bed each morning, and am often exhausted after work (see evidence below). How long are the hours? I work twenty hours each week (see my timetable below). Some of my fellow language assistants work twenty-four; others sixteen. It really depends on the school and the number of classes you're teaching. Is there a lot of work to do behind the scenes? There really isn’t that much that needs to be done outside lessons. Since I teach eight classe quarta (Italian equivalent of Year 5) and eight classe quinta (Italian equivalent of Year 6) classes, I can often just repeat the same lesson with all of them, or at the very least reuse ideas. However, when I do plan (as is the case for my remaining four classes), it usually takes an hour at most: I tend either to look in the textbook for suitable exercises or to prepare short Powerpoint presentations on whatever topic we’re covering that week. I really like the fact that, for the most part, I can leave work behind at the end of the schoolday, and do my own thing in the evenings and at the weekend. No. I was very worried about this before arriving, so tried to avoid packing any clothing that could be deemed inappropriate. However, I was assured upon my arrival that unless I came to school in a mini-skirt and flip-flops, no one would care in the least what I was wearing. My advice is to go for smart-casual garments that make you feel physically and mentally comfortable. 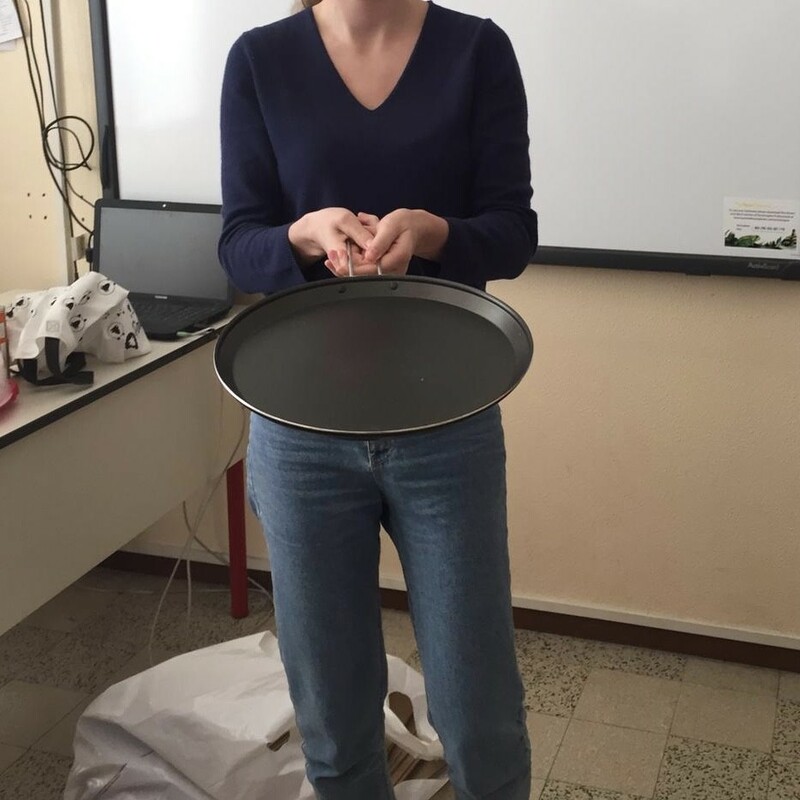 Below is an example of a typical outfit I'd wear to school (I was flipping a pretend pancake in this photo, hence the frying pan!). Yes! I get paid 800€ a month, on top of my UK government maintenance loan and Erasmus traineeship grant. I can live very comfortably on this, especially because, thanks to my job, I am being hosted by an extremely generous local family for free. Are Italian schools different from English ones? Italian and English schools are, on the whole, fairly similar. There are, however, a few differences. Italian school-children tend to be more chatty and disruptive than their English counterparts, which I think is partly a cultural thing and partly a result of the less strict teaching methods. Also, while in England physical contact between pupils and teachers is more or less forbidden, in Italy, it’s a very common occurrence. Every day when I go into school, I have hoards of children coming up to hug me, something which at first made feel uneasy (because of the laws in my country), but which I now find very endearing. 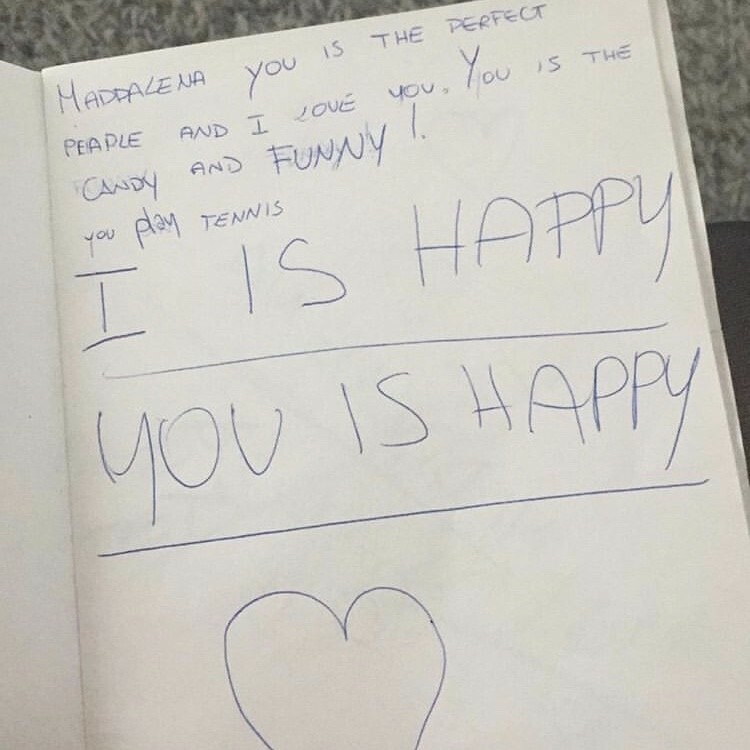 Even more sweetly, some write me little notes of appreciation! Have I met any other madrelinguas? Yes – quite a few actually! I know a couple of the people doing the same programme as me, since they also go to Oxford, but on top of that, I’ve met students from Athens (US), New York, Durham, Nottingham, and York. 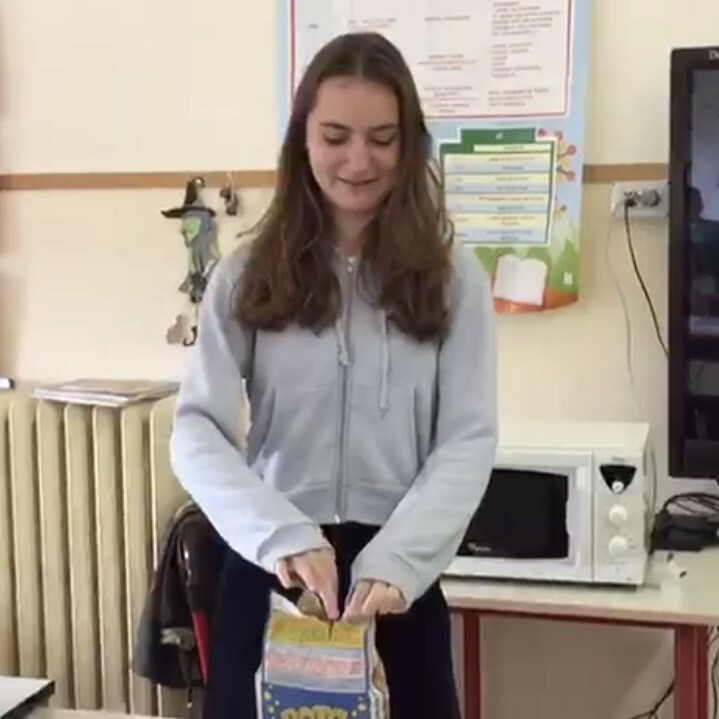 One girl, Maggie, also lives in Rovato, but teaches in the scuola media (middle school), and I've met other people doing the project through her, and at a meeting we all had a couple of weeks ago in the nearby town of Iseo. 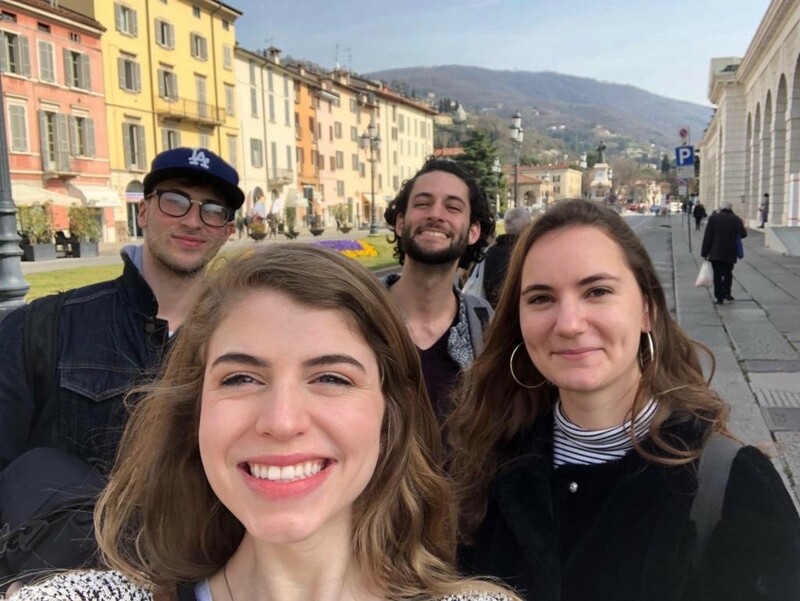 Here I am with three other madrelinguas on a trip to Brescia! Children: how their minds work (teaching has also reminded me a lot about my own thoughts and feelings at that age), what makes them tick, what interests them, what bores them, what upsets them (losing games is the number one cause of tears in my class…), and how to gain their approval and respect. Teaching: how to improvise on the spot when things don’t go according to plan, how to strike a balance between being too strict and too lenient, how to explain things clearly, how to deal with disruptive students, how to make lessons productive but fun, how to keep students engaged for the whole hour, how to correct people without making them lose confidence in themselves, how to make sure every pupil in the room is participating, and how to make sure that content sticks in the students’ minds. Italian culture: how important family is to them, how their children are raised, how they see the world, what the school system is like (of course! ), how rich the history of the country is, how different people are depending on the region they come from, what makes them laugh, what is considered rude by them and polite by us and vice versa, how to use various exclamations like ‘mamma mia!’ and ‘dai!’, which hand gestures to use to accompany said exclamations, what the Italians eat, how much they love watching TV, and how important football is to them (the first question I was asked in every class was ‘which team do you support?’). English culture: how sarcastic we are (and how difficult it is for foreigners to gauge when we are and aren’t taking ourselves seriously), how overly-polite we are (my host family find some of my mannerisms hilarious), how weird some of our traditions are (egg-rolling, for example), and which aspects of our language are the most difficult for those learning it. Myself: the extent of my patience, which areas of my personality I am satisfied with and which ones I need to work on, what I want from life, what makes me feel fulfilled, what I want from my future career, and what I am capable of doing if I set my mind to it. And finally...would I recommend this experience? Yes, 100%! I originally accepted this job only because I needed something to do during the Italian half of my year abroad. I had very low expectations going in, and before arriving thought that this would just be something to get over and done with as fast as I could. And look at me now – I wish I didn’t have to leave so soon! I’ve loved everything about this experience, from teaching, to living with a host family, to meeting students from all over, to visiting amazing towns and cities on my days off. If anyone is considering a job like this, I definitely encourage them to accept. It’ll be hard at times, but oh so worth it. 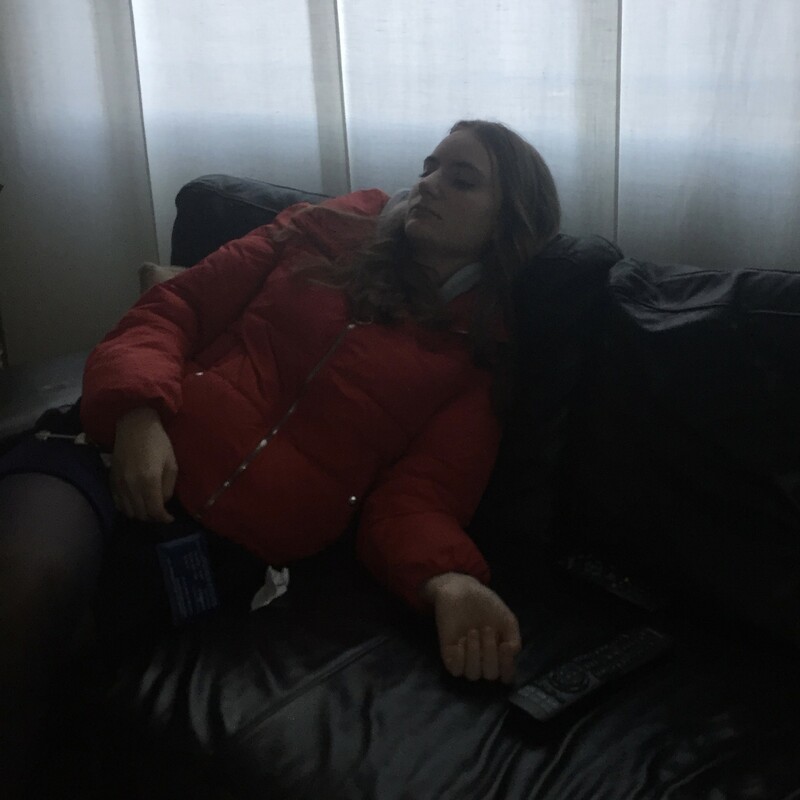 This content has been entered in the Erasmus Travellers Competition and have earned 1080 points.